Harvey Leroy ‘Lee’ Atwater (1951-1991) was barely out of his teens when he burst on the political scene in South Carolina in the early Seventies. 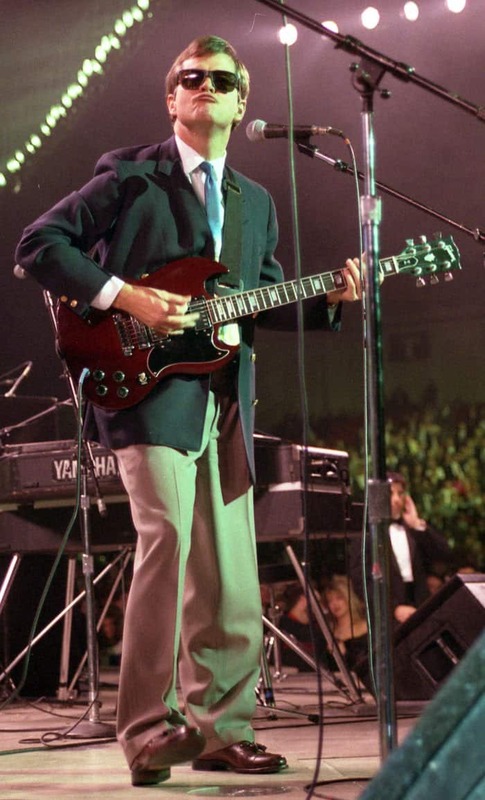 Back then, the guitar-playing wunderkind loved the blues almost as much as he did serving as a consultant to conservatives during election campaigns. A protege of Strom Thurmond, he learned the tricks of the trade at the feet of an inveterate racist who once swore that blood would run in the streets of his state before it would allow integration. Thurmond, in fact, was such a hypocrite that he remained a bigot even after fathering a child with the 15 year-old daughter of one of his servants. As for Atwater, he wasn’t any better, playing the blues with black musicians evenings after having devoted his days to denying African-Americans equal rights. And while he might have repented on his death bed just before succumbing to brain cancer, that 11th-hour confession did little to undo the damage he had inflicted on minorities as the architect of the Reagan revolution who also engineered the ensuing victory which ushered in George H.W. Bush. For Atwater was a scoundrel who believed that anything goes in politics, so he felt it was okay to lie, cheat, make up fake opinion polls and generally tell the people what they wanted to hear and in order to prevail. He is probably best known for having masterminded the infamous Willie Horton ad which turned the tide in the 1988 presidential race in favor of Bush over Michael Dukakis. Atwater’s reward for having erased a 17-point deficit en route to the White House was his being named Chairman of the entire Republican National Committee. In that capacity, he was then able to implement his philosophy throughout the Party across the country. Understanding the power of the visual image, Lee fervently believed that “perception is reality,” so he was not above manipulating folks to vote against their own interests by serving them a pack of lies. Rationalizing that all that mattered was power, he single-handedly transformed U.S. politics into a series of tabloid moments. His reign came to an abrupt end upon his dire diagnosis in 1990, but the Republicans were lucky that Atwater had mentored Karl Rove in all of his Machiavellian tactics. In the end, Atwater found religion and repented, going out of his way to apologize to every individual whose reputation he’d smeared, including Willie Horton. Too bad none of that message ever resonated with Rove. A fascinating, warts-and-all documentary about one of the most notorious and influential figures in 20th Century politics.